Forfuture Technology (Shenzhen) Co., Ltd.
Shenzhen Elida Technology Co., Ltd.
&bull; 7 COG automatic lines and one semi-automatic line. When the clients purchasing, we will provide detailed instructions and procedures. We always attach great importance to quality controlling from the start to end. Shenzhen Amelin Electronic Technology Co., Ltd.
Shenzhen Topfoison Electronic Technology Co., Ltd.
We can provide 1.33inch free sample for your testing first to verify the performance of backlight and support your project. 2.What is the MOQ9 ---There are no MOQ requirements,it all depends on your project. 5.Can I apply for free samples9 ---Yes,but there would be a Quantity requirements and you need to send us more details about your project. 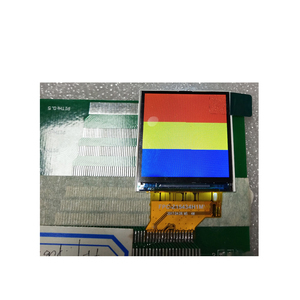 Shenzhen Wu He Tian Cheng Technology Co., Ltd.
IPS model 1.54 inch 240x240 tft screen lcd display with SPI interface General Specs Feature Specifications Display Specs LCD type 1.54 inch Resolution (H*V) 240(RGB)&times;240 Technology Type a-Si TFT Pixel Configuration R.G.B. In addition, we have applied more than 20 patents, including 3 invention patents and 3 software copyright patents, 15 patents in these were authorized. TDO has made a lot of achievements: the Award of The third China Innovation and Entrepreneurship Competition, Shanghai SME Innovation Fund Project, Minghang Industry-University-Research Collaboration, Mihang Patent demonstration project, etc.
) Step Three: Write the control program to any MCU to work the TFT-LCD Module vi the Commands . 1. Terminal Assistant: To upload pictures and files into TFT-LCD Module, and demonstrate the 2. Touch Control Software: To create the control file. # If there would be any technical or quality problem in warranty period, we guarantee the product can be replaced by brand new unconditionally . Fanscoo Electronic Technology (Shanghai) Co., Ltd.
New&Original LT080AB3G800 8 inch TFT LCD Screen Display for car 8.0"
Guangzhou Mingyi Optoelectronics Technology Co., Ltd.
Fujian Wiwo Electronic Technology Co., Ltd.
Q4:What is your after-sale service9 A: Yes, we offer 12 months warranty for our products. Damage due to misuse, ill treatment and unauthorized modifications and repairs are not covered by our warranty. but we can provide repairment service after your payment. Shanghai DAS Metal Co., Ltd.
With years of export experience along with excellent quality, advanced services and competitive prices, Dastek has won numerous customers' trust and support. With years of export experience along with excellent quality, advanced services and competitive prices, Dastek has won numerous customers' trust and support. With years of export experience along with excellent quality, advanced services and competitive prices, Dastek has won numerous customers' trust and support. Touch panel optional Resistive touch panel option; Capacitive touch panel option; Custom touch panel option. 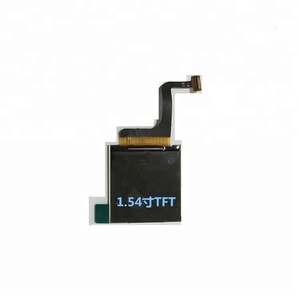 Item 1.5 inch IPS LCD 240x240 TFT Screen Display with Capacitive Touch Screen Resolution 240x240 Outline 40.3x40.3x4.37mm A. 4. When you have interest to know more details of this 1.5 inch IPS LCD 240x240 TFT Screen Display with Capacitive Touch Screen. Found in 2007, SAEF TECH is an experienced LCD/LCM manufacturer. With good quality, professional service, and competitive price, we have been qualified by many wellknown companies around the world. Our strategic customers include LG in Korea(white goods & remote controller), Uniden in Japan(scanner), Cisco in USA(conference phone), Jabil in UK(industrial meter & instrument), Vtech in HK(IP phone in conference room), Ametek in Germany(bulldozer dash board), AML in USA(banking system), Spectrum mfg in Canada(meter), etc. 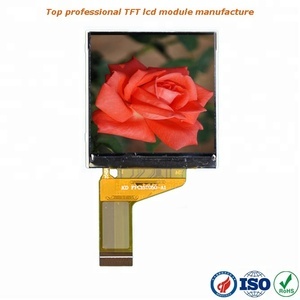 Alibaba.com offers 261 240x240 tft screen display products. About 79% of these are lcd modules, 1% are led displays. 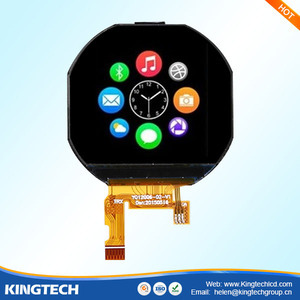 A wide variety of 240x240 tft screen display options are available to you, such as tft, lcm, and cog. You can also choose from free samples, paid samples. 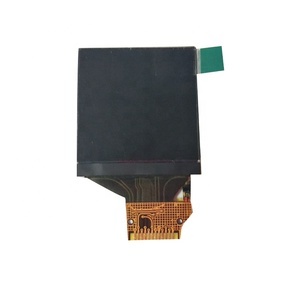 There are 261 240x240 tft screen display suppliers, mainly located in Asia. The top supplying country is China (Mainland), which supply 100% of 240x240 tft screen display respectively. 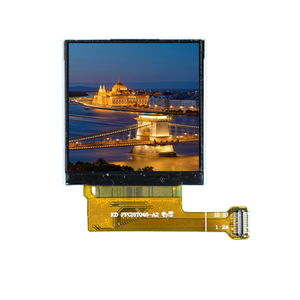 40x240 tft screen display products are most popular in North America, Western Europe, and Domestic Market. You can ensure product safety by selecting from certified suppliers, including 247 with ISO9001, 126 with Other, and 97 with ISO14001 certification.